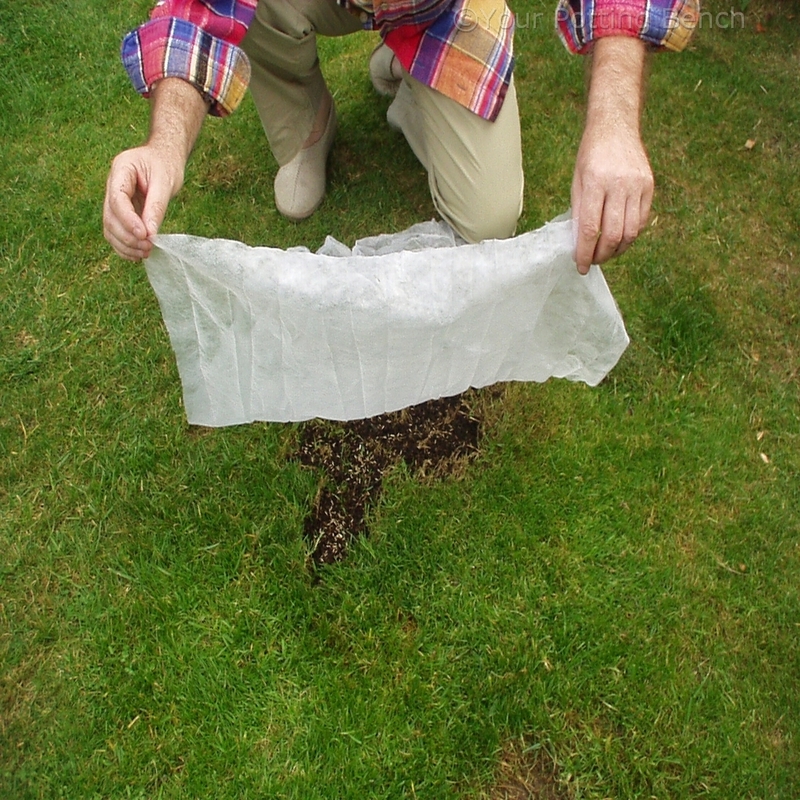 Even the best lawns sometimes suffer localised damage. 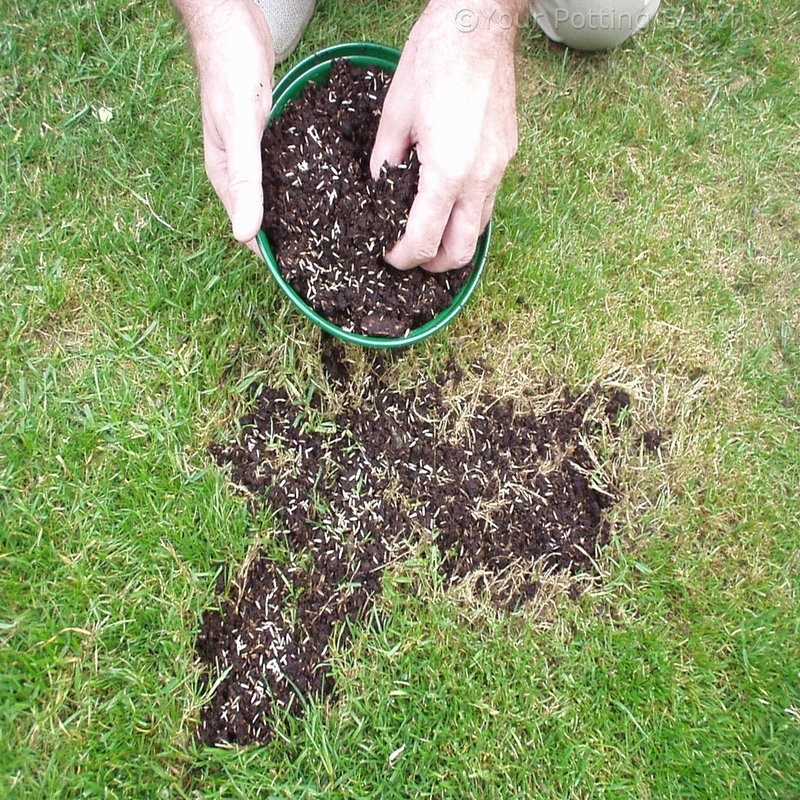 It might be caused by a pet, moss, birds scratching or something left standing on the lawn for too long and killing off the grass. 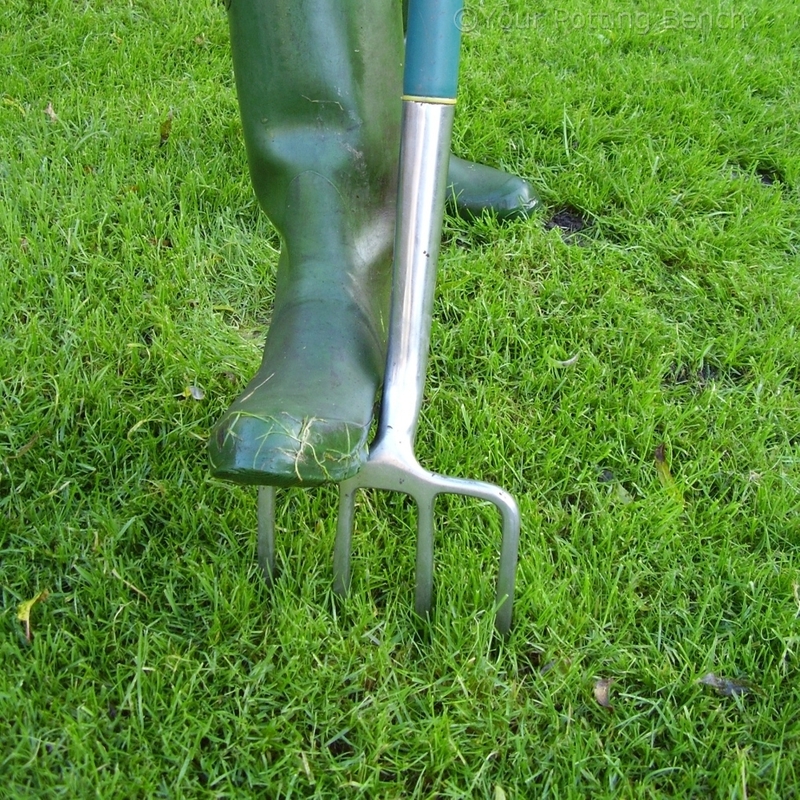 By acting quickly, you can replace the lost grass plants and help your lawn look lovely again. 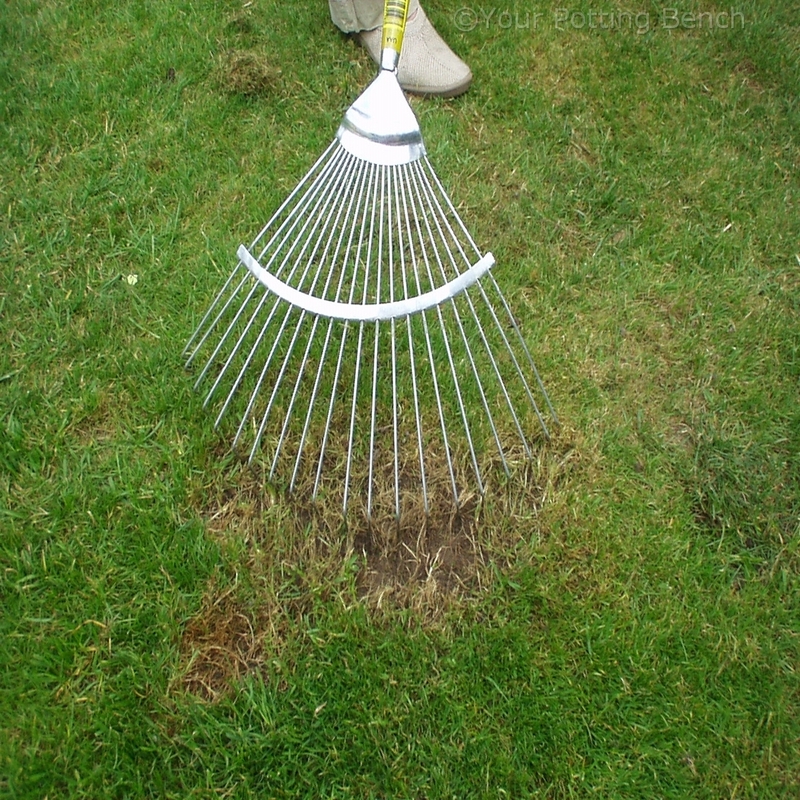 Use a spring-tined rake to comb through the grass, removing any debris and making the blades stand upright so you have access to the soil. 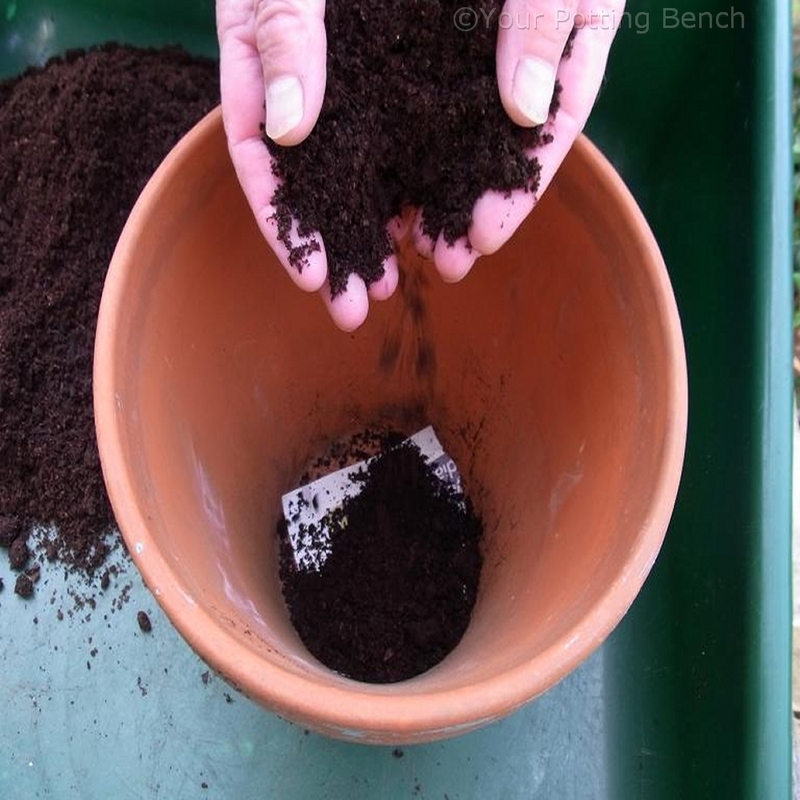 Mix the grass seed with some moist multipurpose compost in a pot to give the seedlings an easy medium to begin rooting into. Scatter generously over the area. Birds love grass seed and will eat it all if you let them. 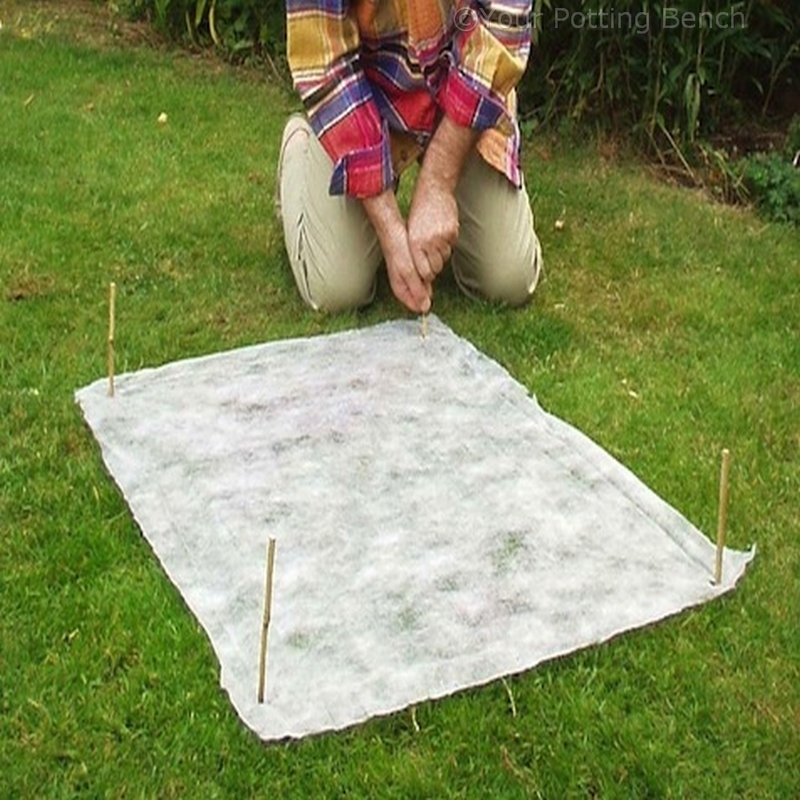 A small piece of horticultural fleece will keep them off while still allowing light to reach the seedlings. 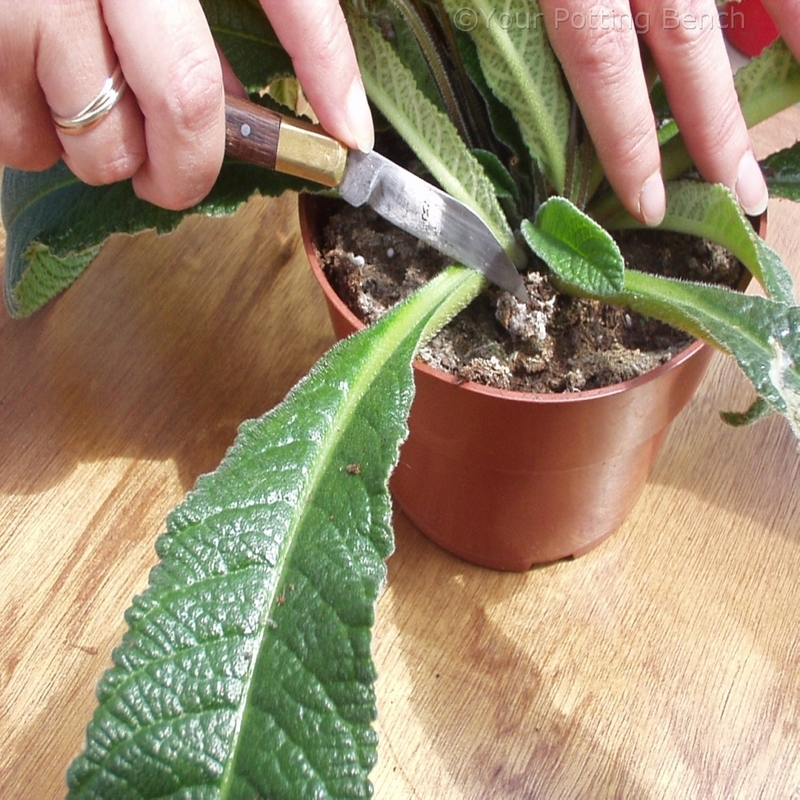 Hold the fleece in place with short canes. 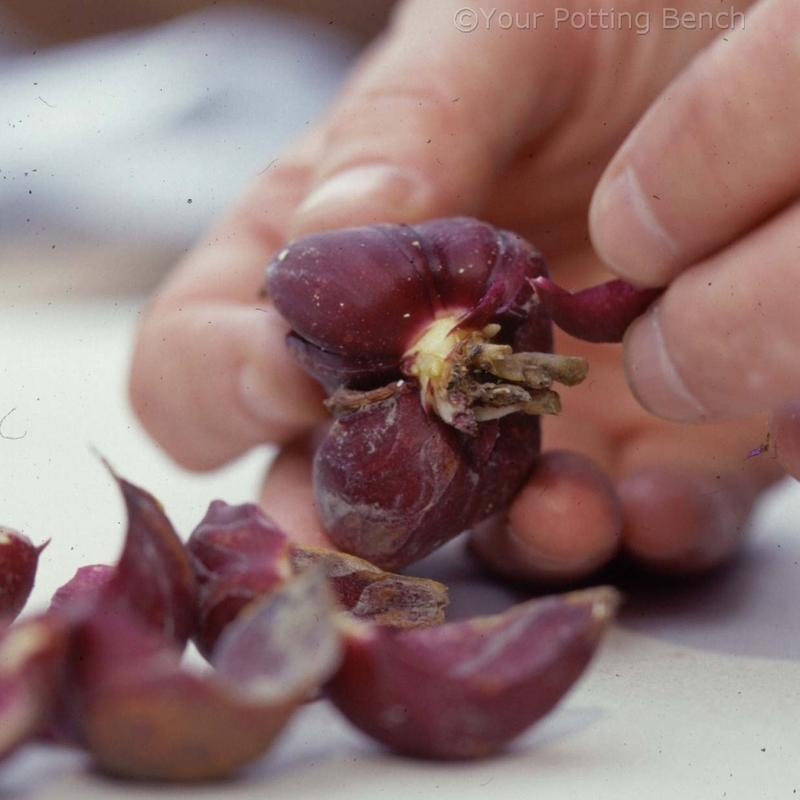 In summer, the seed should germinate within days and the cover can be removed after about a week.